She provides administrative support to the senior vice president, industry analysis and economics and executive director, business development. She also assists with special projects, industry studies, briefings and event management. 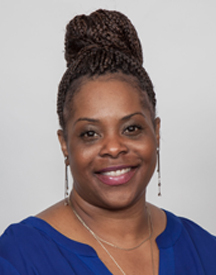 Prior to joining OESA in 2006, Keiyania Mann held the position as an executive administrator at Associated General Contractors, Greater Detroit Chapter. Keiyania holds a Bachelor of Science Degree in Business Management from Central State University, Wilberforce, Ohio.